Wolves purportedly raised Romulus and Remus, who went on to rule Rome. Is there good scientific evidence for learning across species? Researchers at the Smithsonian Tropical Research Institute (STRI) in Panama wanted to know if predatory bats learn both from other members of their own species and from other predatory bat species. "We wanted to know if bats learn to recognize new foods from members of another bat species as quickly as they learn from their own species," said first author Krista Patriquin, a postdoctoral fellow with STRI Staff Scientist, Rachel Page, at the time of the study. "It turns out they do." "This tells us how bats may cope with changes in food availability resulting from environmental changes and helps to explain how bats have become such successful and widespread mammals," said Patriquin, now a postdoc at the University of Toronto. The research team first tested fringed-lipped bats, Trachops cirrhosus, to find out if they could learn from other bats in the same species that a computer-generated tone is linked with a food reward of bait fish. 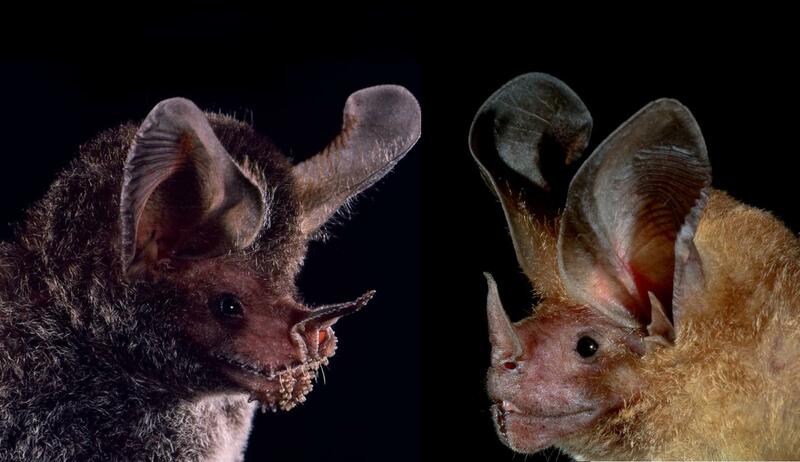 Then they asked whether the same bats could learn to recognize the tone from another species in their neighborhood, the white-throated, round-eared bat, Lophostoma silvicolum. "We previously taught the fringed-lipped bats to identify a frog call with the same food reward," said Rachel Page. "It took them longer to recognize this artificially generated sound as a signal for food, presumably because it was not a sound that was familiar to them." "We also thought it was fascinating that despite their ability to learn from one another, the bats preferred to hang near members of their own species in the flight cage. In the wild, we have never seen them in the same roost, although they may roost very close to roosts of the other species, so they seem to recognize and identify with their own species." elp from other bats. However, it took them much longer. Social learning saves time and energy otherwise spent on trial and error learning and reduces the possibility of making costly mistakes. Some of the 1300-plus bat species in the world live for up to 40 years, so the ability to learn not only from their own species, but from other species in their communities may make a huge difference in terms of their survival. "These are highly intelligent bats!" said Jenna Kohles, a STRI intern when the study was done, and now back at STRI as a Masters' student at the University of Konstanz. "We've gained exciting insights into how not just one species may adapt to environmental changes and new food resources, but how whole communities of animals occupying similar ecological niches may adapt together as information and innovation spreads from one species to another."